Powerful and simple to use, the brand new InTouch Reporting App makes it faster and easier for you to let us know what needs to be done. 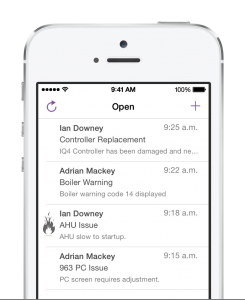 Designed and built to help you send and track your InTouch maintenance requests, the new app saves you time and energy. The InTouch Reporting App is your direct link to us so you can quickly let us know what needs to be done. This app will let you report any BMS issue. 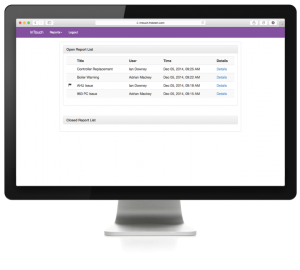 When you create the report we are automatically notified. You don’t need to waste too much time typing either because the app takes photos too; a picture paints a thousand words after all. 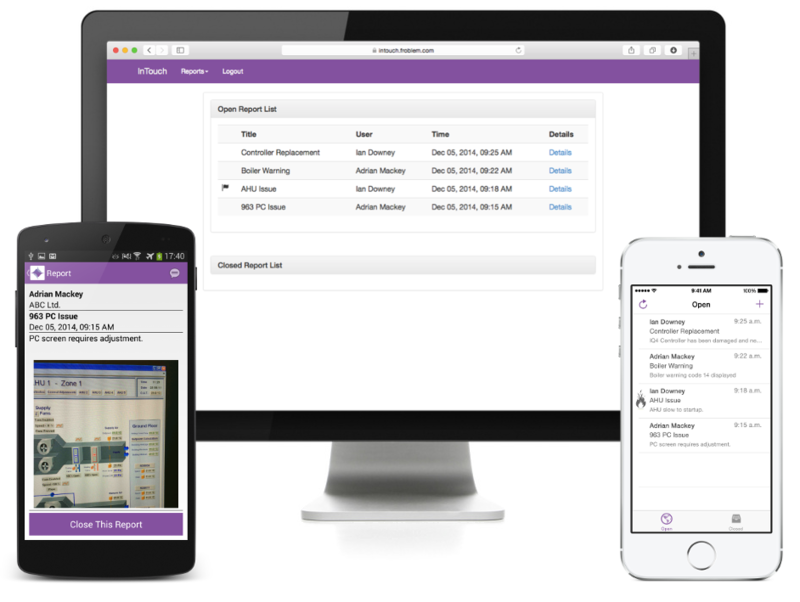 The InTouch Reporting App provides an always accessible work request list for you and your team. This ensures you always know what is on the to-do list. The new app is available on iPhone, Android, and on the Web so you can send and track your requests on the go. You can conveniently send InTouch a request as it arises. The app will automatically organise it for you on your phone and computer, saving you time and money. We know that listening to you, our customer, is vital to providing a great service. 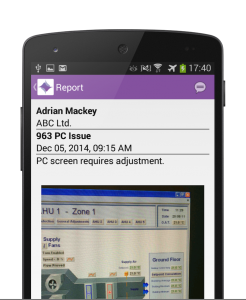 We aim to make the InTouch Reporting App a valuable asset to the professional and customer focused service you have come to expect from InTouch Control Systems.